Real-Time Check Imaging Solution | Automated Systems, Inc. 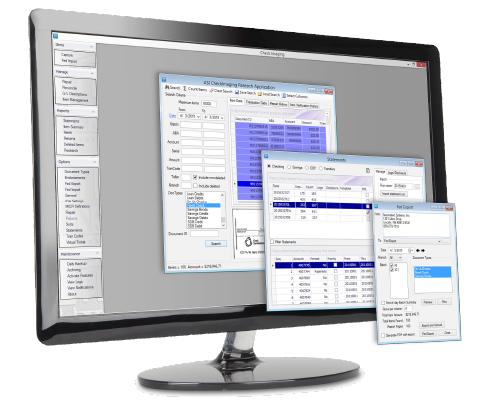 The Insite Check Imaging solution is an integrated suite of check image software modules that combines check image capture, workflow, archival, retrieval, distribution, and exception item handling technologies seamlessly into the Insite Banking System application. Insite Check Imaging improves check handling operations and increases profitability by significantly reducing the number of times an item is handled in the system. It utilizes the most advanced technology available, yet remains cost-effective. Its open architecture is designed for future upgrades and enhancements. The Insite Check Imaging solution provides a foundation for the future of check processing. Our solution is scalable and flexible across bank sizes and processing environments. It can also be easily integrated and updated to support Electronic Check Presentment (ECP) and Image Exchange, adding additional value and cost savings benefits. Reduce costs associated with check processing and handling. Flexibility in statement layout allows a more professional look for the bank. Bank personnel is notified daily of any exception images, providing opportunity to make corrections before statements are prepared eliminating crippled statements. Developed using industry standard tools such as Microsoft Windows Server. Provides daily reconciliation of images with posted items from the core banking application. Allows customers to search online via Internet Banking, to see if a specific check has cleared. Images are legally acceptable as proof of payment. Retrieve and fax statements directly to the customer. Multiple checks duplexed on plain paper for inclusion with customer statements saving money on paper and postage. 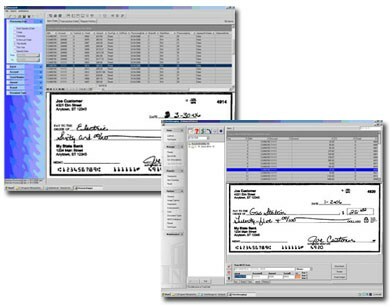 Bank controls number of images printed per page, front/back image printing for both credits and checks/debits; and can be customized to each individual customer. The benefits of Insite Check Imaging extends to your customers, too. Customers can return shoes to shoeboxes, because bulky storage of canceled checks is a thing of the past. Images are accepted by all state and federal government agencies, plus all courts of law. The ability to quickly print full-sized images of the front and back of the check is also available, if the need should arise: eliminating worries and hassles about searching to find proof of payment.